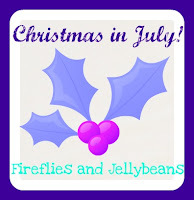 Fireflies and Jellybeans: Christmas in July Recap! We had such a fun time during our Christmas in July Series! Thank you to each and every one of our guest posters! All the Projects were AMAZING and inspiring! Here is a recap in case you missed any!